AMC’s 5th Series After MAD MEN, BREAKING BAD, RUBICON & WALKING DEAD Is A Crime Drama Starring Michelle Forbes & Billy Campbell! I am – Hercules!! AMC just greenlit 13 one-hour episodes of its fifth regular series. Based on the Danish series “Forbrydelsen” (“Crime”), the so-far-untitled American version is masterminded by writer-producer Verna Sud (“Cold Case”) and examines the aftermath of a young girl’s murder. The cast includes Michelle Forbes (“Battlestar Galactica,” “True Blood”) as the victim’s mother and Billy Campbell (“The Rocketeer,” “The 4400”) as a Seattle mayoral candidate. Mireille Enos (Kathy and Jodeen Marquart on “Big Love”) plays the lead homicide detective. It arrives next year. Look! Press release! Follow Herc on Twitter!! 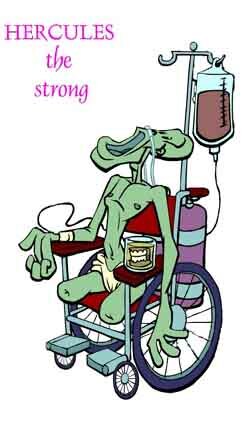 Follow Evil Herc on Twitter!! 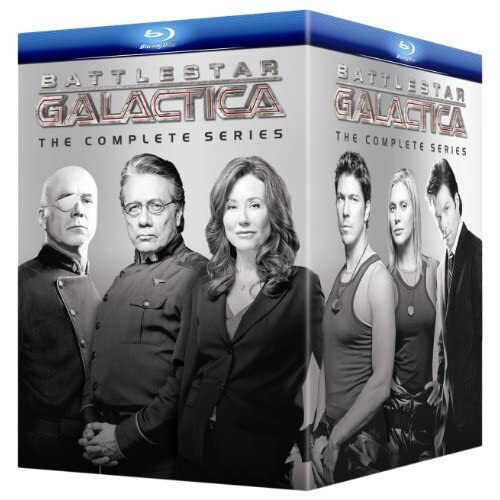 “Battlestar: Galactica” on Blu-ray, $244.99 last month, has momentarily fallen to $132.99!! That works out to Less Than $33.25 Per HD Season!! 56% Off!! 85 Blu-rays Under $10! !